Weatherization is an opportunity to improve energy efficiency without extensive modifications to the structure of the house. It should involve a whole-house systems approach that considers energy efficiency, combustion safety, moisture management and building durability. Test for leaks, make improvements, then test again. Contrary to what some homeowners might have read or been lead to believe, replacememt windows and more insulation are not the first steps toward a more efficient house. Before any other improvements are made, air leaks must be sealed. 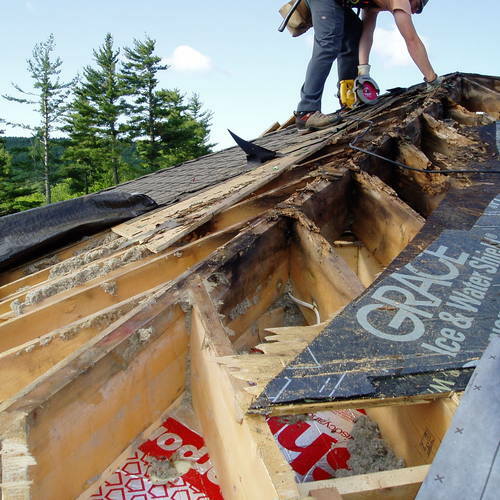 Adding insulation to a very leaky house is counterproductive, and it makes it harder to find the leaks in the future with all the new insulation piled on top. Will it take more than weatherizing to make the house efficient? Some houses may not be worth energy efficiency improvements until structural problems or serious site or plumbing problems are addressed–problems that may be beyond the expertise of a weatherization contractor. Concerns may include mold in a bathroom that doesn’t have a fan or an operable window or old windows that won’t are stuck or won’t close completely; serious water leaks in the basement; or weakened foundations or structural framing. Conduct blower-door tests before and after the project, along with room-to-room pressurization tests. Perform air-sealing work in the basement and attic. Use infrared imaging to find places where insulation is inadequate. If required, weatherstrip doors and windows. 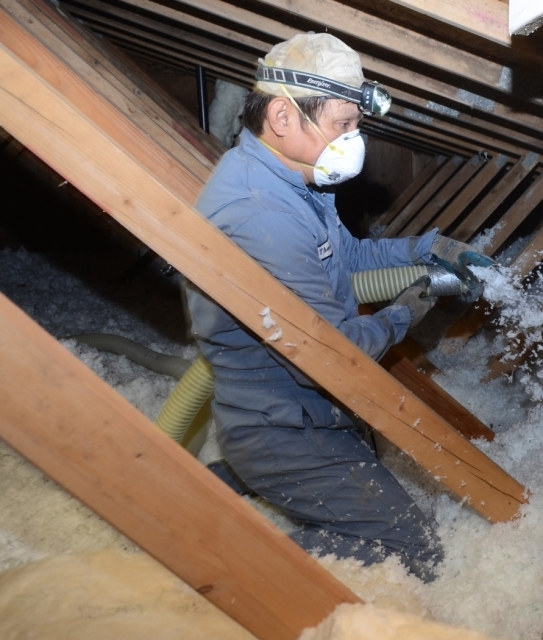 If required, add insulation in the attic, using formaldehyde-free insulation. In houses that have forced-air heating systems, test ducts for air tightness. Check the operation of the combustion equipment for efficiency and combustion safety. Install smoke and carbon monoxide alarms if they’re not already present. Insulate hot water pipes and, if necessary, the water heater. The Manuses’ home suffered from a variety of common problems, including an uneven heating system that left them uncomfortable on cold winter days, and their energy costs were particularly high given the house’s moderate square footage and San Francisco’s temperate climate. Prior to the renovation, monthly energy bills averaged $350, even with the thermostat below 65°F on cold days. By setting priorities based on an initial comprehensive home-performance evaluation, Sustainable Spaces created a phased plan to maximize the client’s return on investment in dollars as well as in health and comfort. The Manus family now has a comfortable home with clean air and significantly lower energy bills. TEST IN, TEST OUT. Weatherization experts know the value of using scientific equipment to evaluate a house’s many systems. The beauty of testing is that it is carried out before energy improvements are made and then again after the remediation work is completed. The second round of test verifies the efficacy of the improvements. 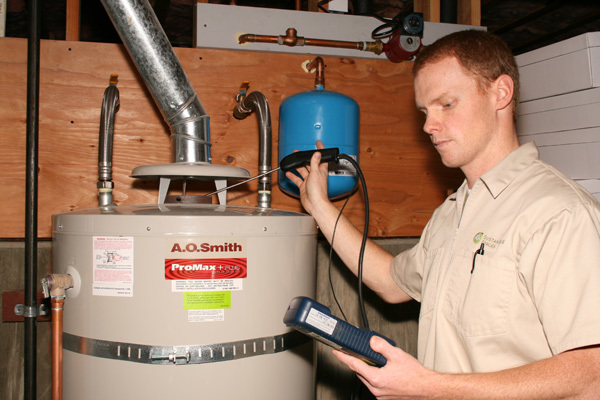 To address the homeowners’ goals and concerns in a practical, cost-effective manner, Sustainable Spaces started with a detailed performance inspection, including insulation, outdoor air infiltration, duct leakage, heating and cooling load and systems, moisture issues, water heating, lighting, appliances, and general durability, to evaluate the home as a system. Based on the findings, the team prescribed a list of priorities targeting those issues that resulted in uncomfortable rooms, unhealthy air, and wasted energy. The project started with building fundamentals—envelope-sealing and weatherization, duct-system redesign and replacement, additional attic insulation, and a lighting retrofit. 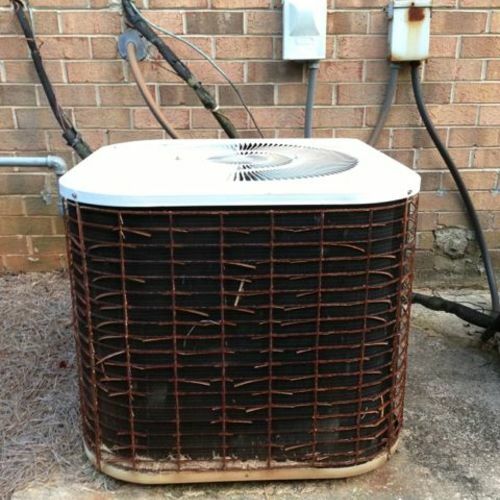 By first reducing the home’s energy load, the team significantly reduced the size of major system improvements, including a new hydronic air handler and air filtration system, a new high-efficiency hot water heater (now the home’s primary heat source for domestic hot water and space heating), and a demand recirculation pump for convenience and water conservation. Using energy modeling software to determine the amount and balance of airflow to each room and to design ductwork to ensure that the system is properly balanced, the team took the guesswork out of making the home comfortable and efficient. Finally, after completing remediation, every step was tested and commissioned to ensure that the home performed as designed. LEAKY DUCTS CAN ACCOUNT FOR 1/3 OF THE HEATING BILL. 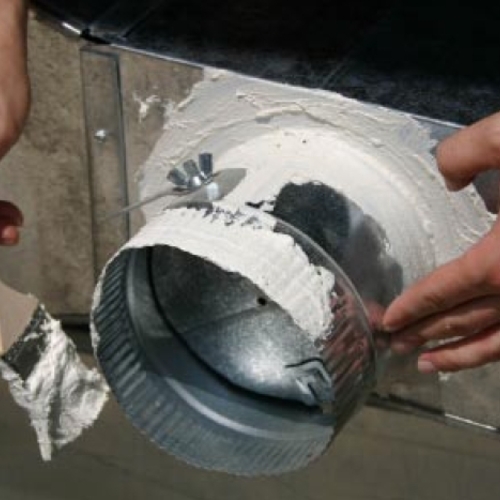 Insulated ductwork that is properly sealed with mastic goes a long way toward sealing leaks. 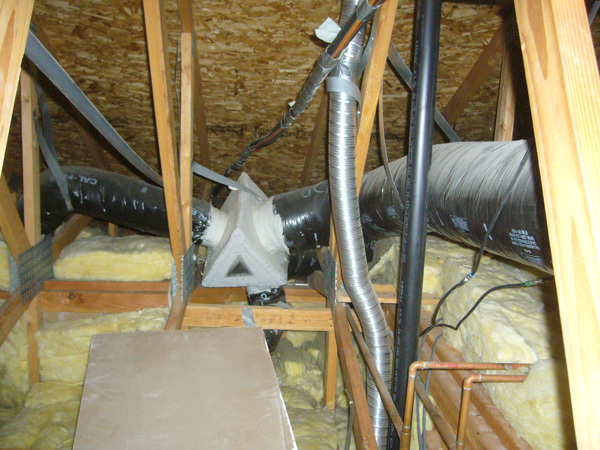 Replacing the ducts in this California house with insulated ones helped decrease the heating load by 25%. 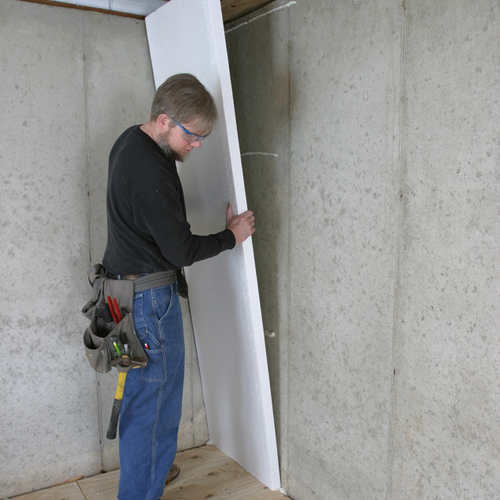 AFTER SEALING AND INSULATING, SMALLER HVAC SYSTEMS ARE POSSIBLE. Weatherization can substantially reduce a house’s heating and cooling loads. After completing remediation work on this California home, the weatherization contractor determined that a domestic water heater could supply enough heat for the whole house. 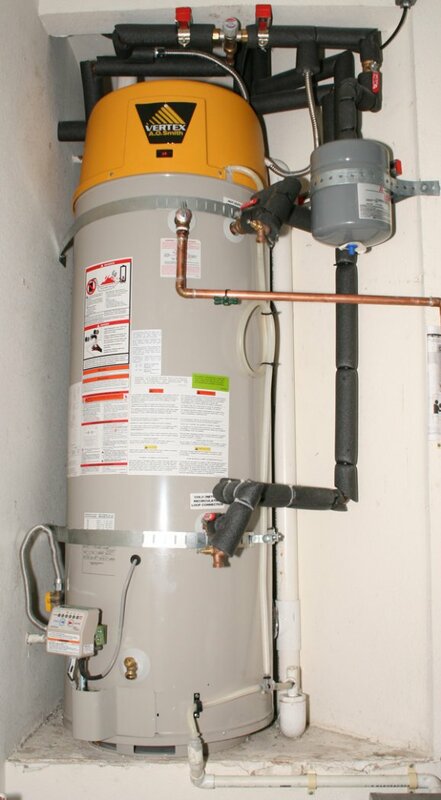 The homeowners originally wanted a tankless hot water heater, but their home-performance inspector recognized that large gas bills and lack of comfort and indoor air quality were their underlying concerns. Although tankless water heaters can be a good fit in some situations, a systems-based approach revealed that a high-efficiency, power-vented storage water heater was more economical and appropriate for the new combined domestic hot water and space-conditioning system. Sustainable Spaces takes a holistic approach, evaluating a home’s performance as a dynamic, interdependent system in order to identify specific steps to improve indoor air quality, comfort, and energy efficiency while always keeping the homeowners’ objectives in mind. A licensed general and solar contractor specializing in home testing and building performance remediation for existing homes, Sustainable Spaces sought first to understand the owners concerns and behaviors. Combined with quantitative data about the home’s performance, this allowed Sustainable Spaces to tailor solutions to their goals, budgets, and priorities while creating an efficient, comfortable, and healthy green home. General Contractor: Sustainable Spaces Inc. Sustainable Spaces created a roadmap for this project based on multiple phases, focusing first on those items with the biggest impact but within the framework of the client‘s long-term goals. A phased approach fitted the Manuses’ budget while achieving measurable results. By focusing improvements on air quality, comfort and environmental impact in addition to energy savings, Sustainable Spaces was able to get buy-in from the client for more integrated solutions. LEED for Homes Weatherization, as part of a gut rehab project, may make a project eligible to earn LEED for Homes certification. 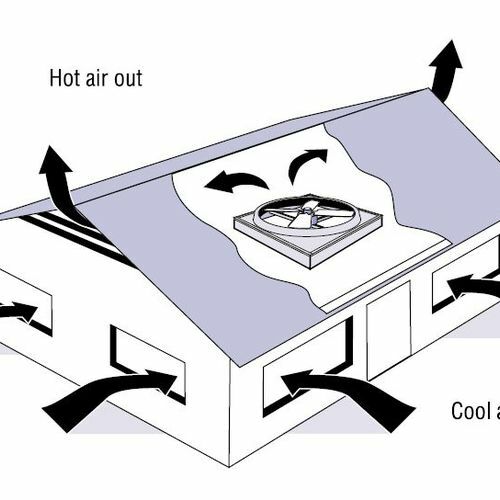 Two key elements required are a quality insulation installation and good air sealing. Absolutely make sure you seal those air leaks first and foremost. For some reason homeowners I work with tend to discount the amount of heat lost through tiny cracks and crevices without realizing these miniature leaks can completely undo all the combined weatherizing efforts you've put in to the rest of the house!